By Tonda MacCharles, (June 4, 2016). Photos & commentary added by Alistair Reign. 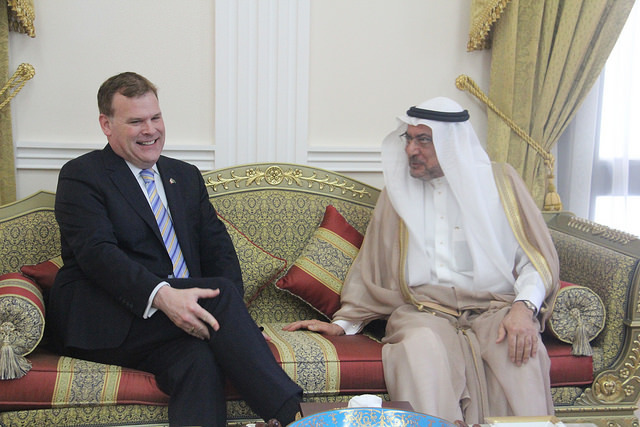 (Former) Foreign Affairs Minister John Baird meets with Iyad Ameen Madani, Secretary General of the Organization of Islamic Cooperation. July 2015. (Photo: Rabble). The onerous price tag for cancelling might help explain the resistance of the Liberal government to growing calls by critics to cancel the $14.8-billion contract reached by the Tories. The government of Canada would be on the hook for a multi-billion-dollar cancellation penalty if it were to break a controversial deal to sell light-armoured vehicles to Saudi Arabia under the contract signed by the previous Conservative government, the Star has learned. However, it also raises questions about whether such a heavy penalty effectively guts the ability of any future government to oversee any human rights violations that could result from deployment of the weaponized vehicles known as LAV’s (lightly armoured vehicles). Ed Fast 01/05/2015. (Photo: Fred Chartrand/ CP). “I’m not going to comment on the details of the contract. That’s for the current Liberal government to respond to,” said former Conservative international trade minister Ed Fast, who worked on the deal along with Stephen Harper’s foreign affairs minister, John Baird. “All I will say is it is a very significant-sized contract. It has very significant benefits to Canada’s economy and I will certainly acknowledge that a termination of the contact unilaterally by one party will have very significant consequences,” Fast said in an interview with the Star. Fast said the Canadian government gave the 14-year deal “a sovereign guarantee” through the Canada Commercial Corp., a Crown corporation that acted as not only a broker but the contracting party for General Dynamics Land Systems with Saudi Arabia. 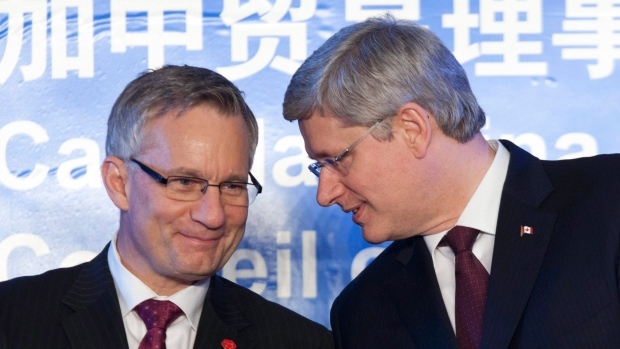 (Former) Minister Ed Fast and (former) Prime Minister Stephen Harper during a ceremony in Beijing on February 9, 2012. (Photo: Adrian Wyld/ CP). A source who spoke to the Star on condition of anonymity said the cancellation penalty is part of the contract reached after Harper personally sought support from Saudi Arabia’s ambassador to Canada to secure the 14-year deal to deliver weaponized vehicles — a deal that was otherwise looking certain to go to Germany. Since the contract was first announced in 2014, secrecy has surrounded many details of the contract, such as the number of LAV’s to be delivered. Fast acknowledged previous reports that Harper had written a letter to the Saudi king. The Star requested an interview with the Saudi Arabian ambassador in Ottawa but had not yet received a reply. 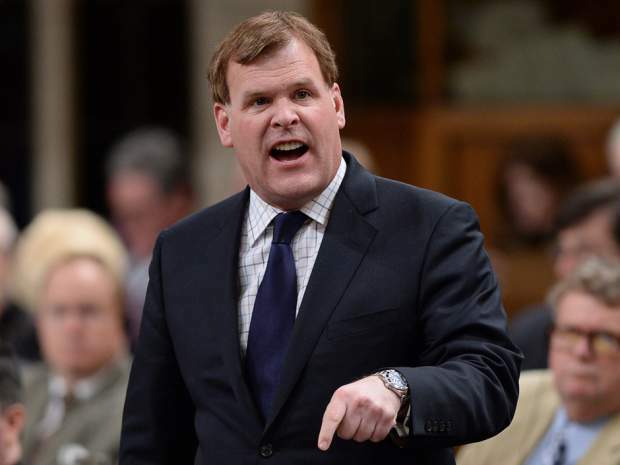 Baird, reached in Europe, declined to discuss any details about the deal, any cancellation penalty or about Harper’s personal interventions to secure the contract. John Baird. Question period in the House of Commons, 2014. (Photo: National Post). Baird said he and Fast “worked very hard to make this contract happen,” and said the Liberals should “absolutely not” halt it. “This is good for the economy of Canada, but it is also good for the security of Canada because we don’t want ISIS moving into Saudi Arabia,” Baird said. 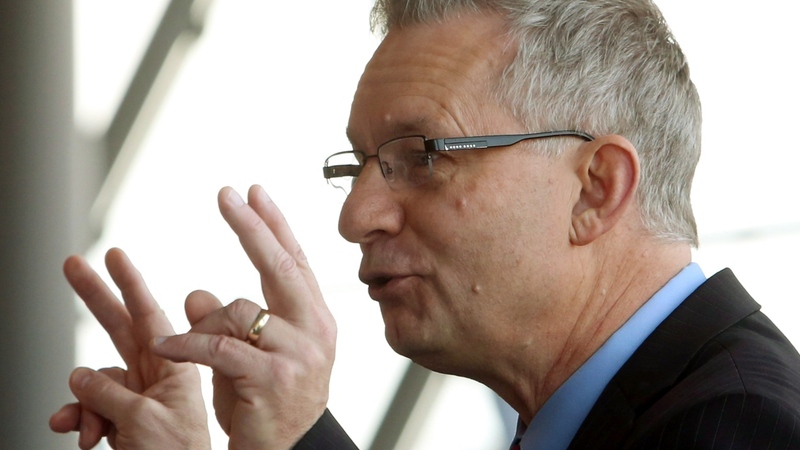 Fast’s and Baird’s views are in sharp contrast to the position taken by the Conservatives’ current foreign affairs critic, Tony Clement, who said information now available about Saudi Arabia’s actions in Yemen wasn’t available at the time the deal was struck. He said the deal should be shelved. When Harper announced the $14.8-billion sale in 2014, he and land systems officials touted the 3,000 jobs to be created — mostly in London, Ontario — and the importance of Canada working with Saudi Arabia, a key regional security ally in the Middle East. 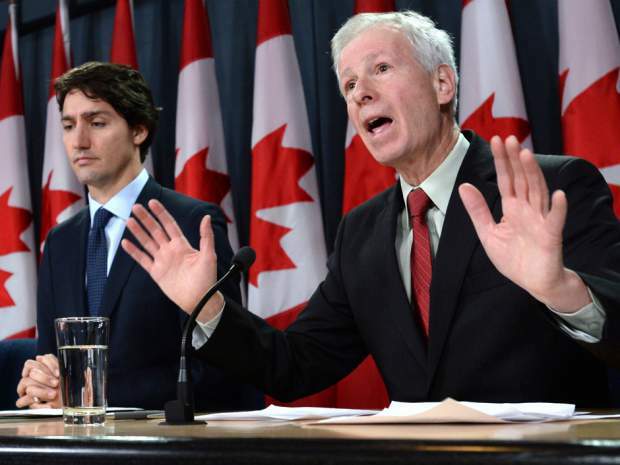 Prime Minister Justin Trudeau and Foreign Affairs Minister Stephane Dion, February 2016. (Photo: Sean Kilpatrick/ CP). Once in power, foreign affairs minister Dion signed off on export permits in April to approve the shipment of the LAV’s based on an assessment the Saudis would not use them against its civilian population but would use them to defend Canada’s common security interests with the desert kingdom. But the Liberals have come under increasing pressure to respond to concerns about the abysmal human rights record of the Saudi regime which quashes civil dissent within its own borders, denies basic rights to women, authorized a mass beheading of 47 people last January, and moved beyond its own borders to quash an uprising in nearby Yemen, led by Houthi rebels allied with Saudi Arabia’s regional rival, Iran. 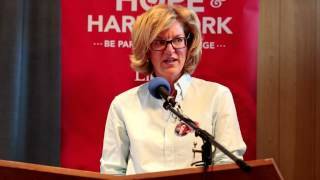 Pam Goldsmith-Jones, secretary to Dion. (Photo: CP). Toronto Star: Canada would face multi-billion dollar penalty if it cancelled LAV sale to Saudis. Send inquiries and requests for permission to re-blog commentary to Alistair.Reign@gmail.com, thank you.